It seems that the line between eBook reader and tablets is shrinking. 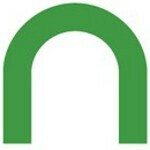 A few weeks ago, Barnes and Nobles released the NOOK Color which adds apps, email and web browsing. Sounds like a tablet, right? Now you can make your Android tablet seem more like an eBook reader by installing the updated NOOK app for Android. 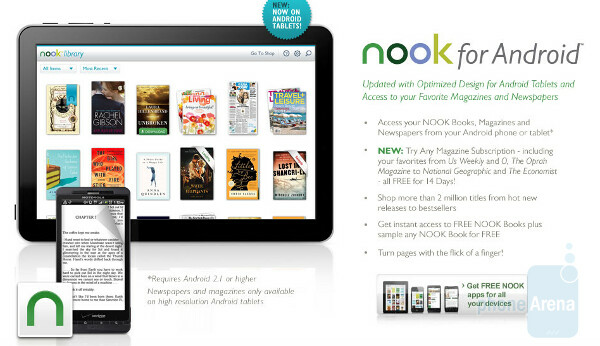 This app brings a version of the NOOK optimized for larger screens. For example, the update (version 2.6.1) offers options to increase the size of the text and adds the ability to read magazines and periodicals on displays measuring 7 inches or higher. Now, with your Android tablet, you can read 140 titles from the NOOK Newsstand like Rolling Stone, Newsweek, Popular Science and ESPN: The Magazine as well as newspapers like USA Today, Los Angeles Times, Washington Post and the Chicago Tribune. The NOOK app for Android is available for free from the Android Market and can be installed on any device running Eclair (Android 2.1) or higher. The magazines and newspapers can be accessed on tablets only. I hate. Hate. Hate hate hate hate hate the new nook app. why would they remove the reading now button? The one thing I used to hit on my xoom more than any other button in the app. The one button that makes more sense than any other button. And they removed it.